A cavernous malformation is an abnormal collection or tangle of thin-walled blood vessels. These sac-like structures contain blood, some of which may be clotted. These malformations tend to push brain tissue aside rather than involve it, as some other malformations may do. Cavernous malformations can occur in any part of the brain and in the spinal cord, brain stem, and optic nerve, and they may grow slowly with time. Cavernous malformations can cause a variety of symptoms, including seizures, headache, and neurological deficits. In addition, cavernous malformations are associated with a risk of bleeding, or hemorrhage. Larger hemorrhages are serious neurological emergencies and can cause critical neurological problems. Magnetic resonance imaging (MRI) scans are the most useful diagnostic study for cavernous malformations. In addition, computed tomography scans and angiography, which provides an image of the blood flow in the brain, may be used. However, angiography rarely is required. The decision to treat a cavernous malformation depends on whether it causes symptoms and the condition of the patient. Sometimes a cavernous malformation may not require treatment and will be observed with regular MRI scans. 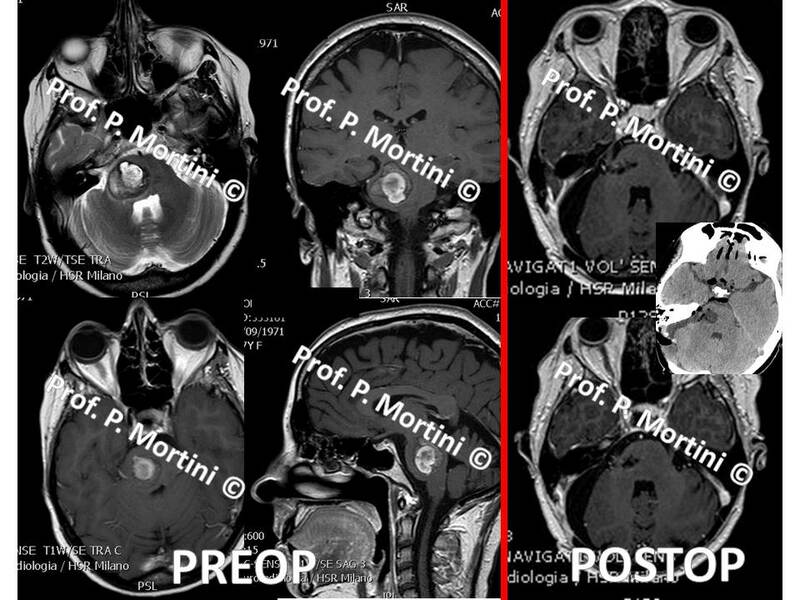 In cases of large or symptomatic cavernous malformations, or malformations with recurrent hemorrhages, surgery may be considered to remove the malformation. Because these abnormal vessels tend to be isolated from other structures, they usually can be removed successfully with microsurgical techniques. Stereotactic radiosurgery (highly targeted radiation therapy) may be indicated in rare cases. Cavernous malformations are complex lesions, and should be addressed at major centers with experts experienced in their treatment.